Operating system Windows 10 combines the best from previous versions of Windows. Enjoy a new standard for performance PCs with processors up to Intel Core 6th generation. Windows 10 allow unleash the imagination and explore new possibilities. Lenovo V110 notebook is optionally equipped with a 15.6 ” HD display that offers clear and sharp images with an aspect ratio of 16: 9. Operating system Windows 10 combines the best from previous versions of Windows, you already know, and brings many exciting enhancements that you’ll love. Boot quickly expanded the Start menu, brand new browser and Cortana – your own personal digital assistant. Can do more, faster and more smoothly – now also across multiple devices. Enjoy a new standard for performance PCs with processors up to Intel Core 6th generation. This fast and feature rich devices with integrated security are ready to move your productivity, creativity and entertainment to a new level. And if that were not enough, you Intel Core sixth generation with amazing new features of Windows 10 allow unleash the imagination and explore new possibilities. Lenovo V110 notebook is optionally equipped with a 15.6 ” HD display that offers clear and sharp images with an aspect ratio of 16: 9. It also uses anti-glare technology, which helps to reduce eye fatigue. Regarding IT security and data leak prevention can not be too careful man. For this reason, we manned the Lenovo V110 notebook certified chip Trusted Platform Module, which provides data encryption, password protection, protection at startup and much more. The model V110 is also equipped with a variety of ports, including super fast USB 3.0 and HDMI. Pant Lenovo V110 notebook is able to rotate up to 180 degrees – ideal for situations where you need to share the content on your screen with others. Enjoy the robust performance of cost effective and energyefficient AMD A-Series APUs. Protect your data and investment with the ProBook designed to deliver impressive performance and reliability. Take on your workday with the budget friendly HP ProBook 455. Work confidently on the 39.6 cm (15.6-inch) diagonal HP ProBook 455 that is designed to pass MIL-STD 810G testing with an aluminum reinforced keyboard deck and a new asteroid silver design. Enjoy the robust performance of cost effective and energyefficient AMD A-Series APUs. 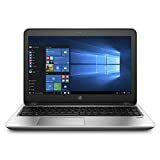 Enjoy the rich user experience of the HP ProBook 455 with long battery life and features designed to create a stunning visual and audio experience with HP Audio Boost, HP Noise Cancellation, and options like an FHD display.